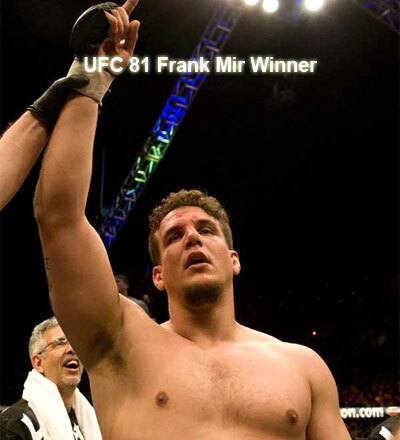 UFC 81 BREAKING POINT Frank Mir is winner over Brock Lesnar by knee bar submission in 90 seconds. Ultimate Fighting Championship 81 pay per view event also had Antonio Rodrigo Nogueira winner over Tim Sylvia by guillotine submission in the third round. The mixed martial arts excitement and fun in the Octagon took place in front of a packed house on February 2, 2008 at the Mandalay Bay Events Center Las Vegas, Nevada real estate. The Ultimate Fighting Championship mixed martial arts event will be held at the Mandalay Bay Events Center in Las Vegas, Nevada real estate. The pay per view mma event will be shown at 10pm ET / 7 pm PT. 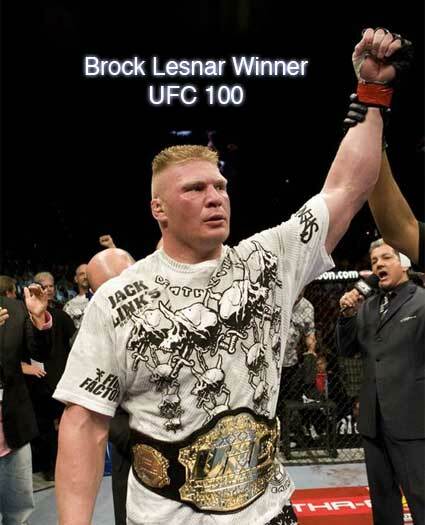 All 18 UFC fighters competing on February 2, 2008 UFC 81 event made weight Friday afternoon at Mandalay Bay Las Vegas.